A new scientific paper focused on the Egyptian Vulture was published in the international ornithological journal Ornis Fennica. The paper was developed by a team of the Bulgarian Society for the Protection of Birds and presents the results from the long-term analysis of the breeding performance and population trend of the species in Bulgaria from 2005 to 2016. The breeding performance is one of the main components of the demography of a raptor population. Evaluating reproductive rates is easier than other demographic parameters, and is a very useful metric to identify factors driving raptor population trends. 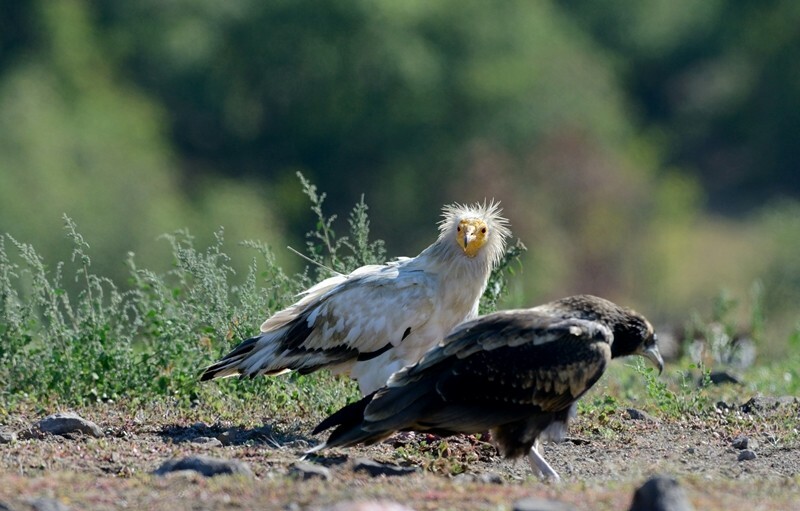 The long-term monitoring of the Egyptian vulture population in Bulgaria (2005–2016) shows one of the highest breeding performances recorded in Europe based on breeding success (1.11 ± 0.13 fledglings / laying pairs), productivity (0.88 ± 0.1 fledglings / occupied territories) and fledgling success (1.2 ± 0.1 fledglings /successful pairs). However, over the last 14 years the Egyptian Vulture population in Bulgaria has declined with 51.7%. The observed rapid population decline could not be explained by the breeding performance and seems to be related to high mortality in both adults and juveniles. The results also show that the pairs breeding in territories with high occupancy rate have the highest breeding parameters and produce the majority of the fledglings in the population. These are territories with higher quality which hold the most productive individuals. The paper recommends diverse conservation measures and individual approach at the level of breeding territories in order to secure the survival of the species in the country. Find the scientific paper “Breeding performance and population trend of the Egyptian Vulture /Neophron percnopterus/ in Bulgaria: conservation implications” here.